Today, London feels like the morning after the night before. Sleepy but with a hangover that made all the Olympics celebrations worthwhile. Thousands of pages and words have been dedicated to the stadiums, the athletes, the ceremonies and the volunteers – all of whom contributed to one of the best spectacles we have ever seen. But in this post-congratulatory glow, I don’t think we should forget the excellence of the BBC in bringing us such incredible programme coverage. I was fortunate enough to hear Ralph Rivera, Director of Future Media at the BBC, speak recently at Thinking Digital conference in Newcastle. He talked eloquently of the enormity of the challenge which the BBC faced with London 2012. As technology has accelerated over the last four years, the worldwide audience naturally expected London 2012 coverage to keep pace with all of the latest developments. And the audiences are significant – the opening ceremony achieved 27m individuals. One of the key challenges for the BBC was to provide coverage that was multi-platform. Not only were there 303 events which needed to be covered, but these had to be available on TV, in 3D, in high definition, online, on mobile and on the iPlayer with 24 hour live streams. With viewing hours up by 94% (period : 27-29th July), the demand for accessible viewing cross-platform had never been so strong. 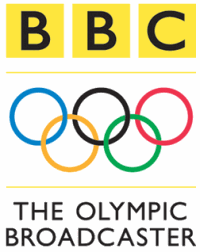 The BBC provided the most comprehensive coverage of an Olympic games in broadcasting history, with up to 2,500 hours of live coverage which represented 1,000 more hours than were shown at Beijing. As an equestrian enthusiast, I was able to watch the events live on my PC at work (obviously whilst multi-tasking), and then follow the action on my way home via my mobile, and then catch up with anything I had missed via iPlayer. Technically, both the commentary and the clarity of picture and camera angles were fantastic – and I have to single out Clare Balding for her insight, passion and professionalism throughout. Much has been made of the Olympic legacy for our children, our sports enthusiasts and specifically for Rio in four years time. But to my mind, the performance of the BBC has raised the bar for all home broadcasters for 2016 and beyond.